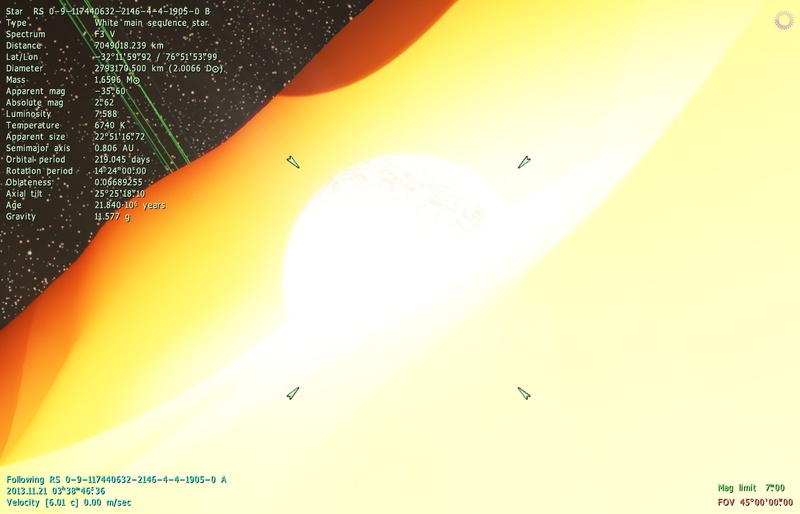 It is also orbiting an ice giant! And it can produce a huge eclipse on the Ice giant. It also has 1861 atmo pressure, and it has an axial tilt of 149 degrees. Stars passing through each other? 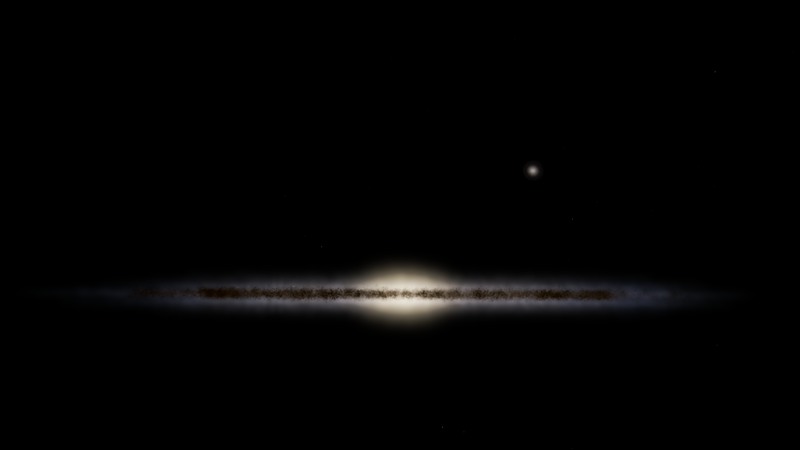 Just found my own 'stellar collision'. 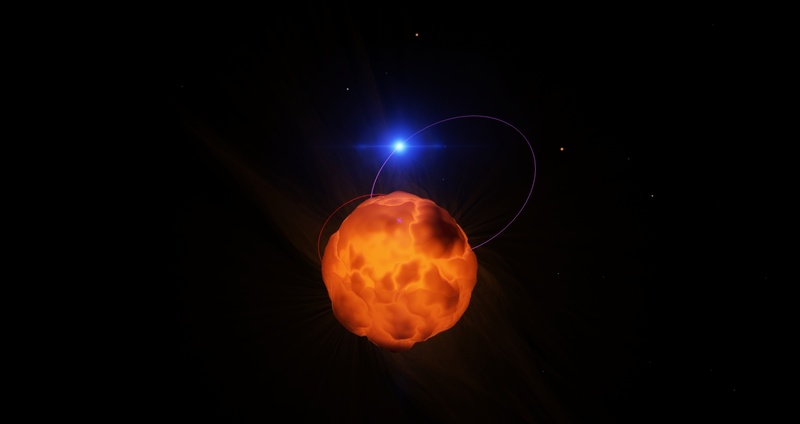 A red bright giant with a blue main sequence that dives into the red bright giant in it's orbit and stays there for what has to be a incredibly long amount of time since even running the game at max time speed takes the blue star upwards of ten seconds to leave the red bright giant. The 2 jupiter mass "moon" is on a quite eccentric orbit, which means it was captured. Not sure how that could have happened. That is such an odd binary planet system. 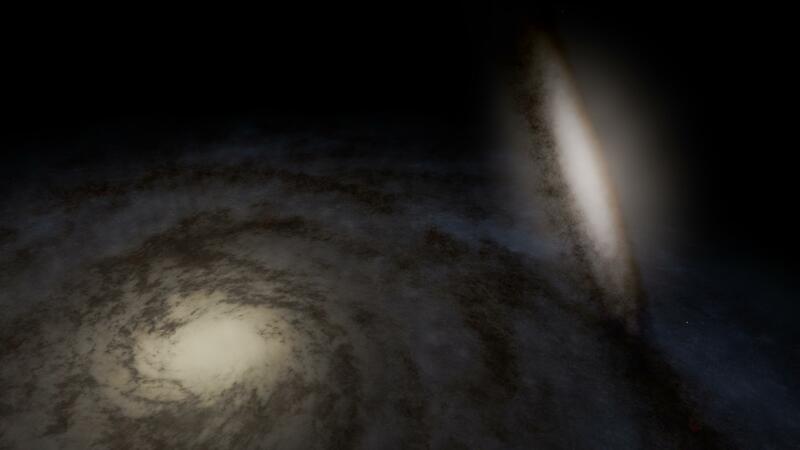 I found two spiral galaxies where one is within the distance of the other's spiral's diameter. Place	"two galaxies near each other"
Those appear to be two colliding galaxies. The thing I actually find surprising is that the two are procedural, since I thought only catalog galaxies can be colliding. 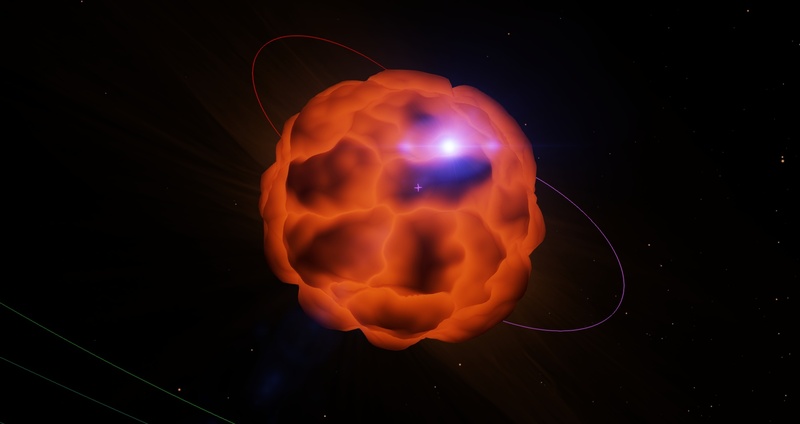 Wow, I just found an open cluster that is 11.677 billion years old. That is older than a large portion of globular clusters you can find. Since the cluster is dominated by red, brown and white dwarfs, the cluster is completely invisible from a relatively large distance. It boggles my mind how an open cluster could stay intact for so long. Place	"Oldest open cluster ever"
An odd question, if I may, as I've not seen anything like it in this thread so far. I know the program probably wouldn't generate anything like this, but I sort of figured that it was worth asking, for curiosity's sake. 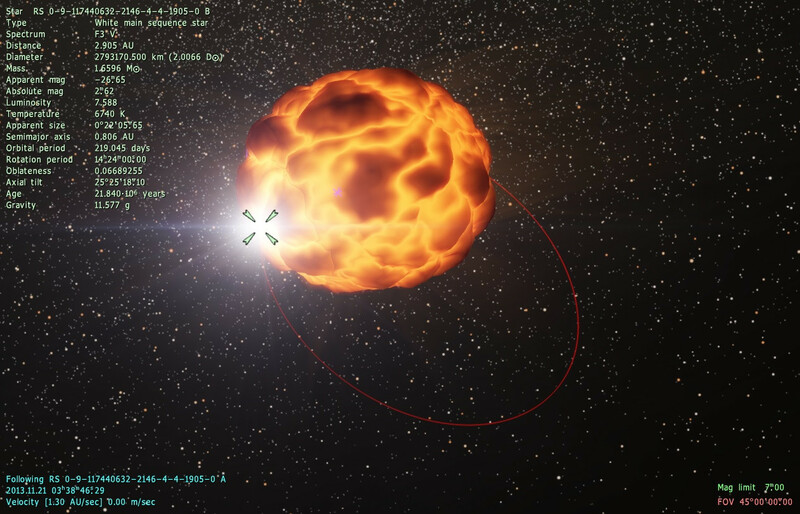 Has there ever somehow been a star that orbited a planet? Or a planet orbiting a black hole? I know how highly unlikely the former would be. Not entirely sure on the latter. Again, just curious. Apologies if it's a stupid question. 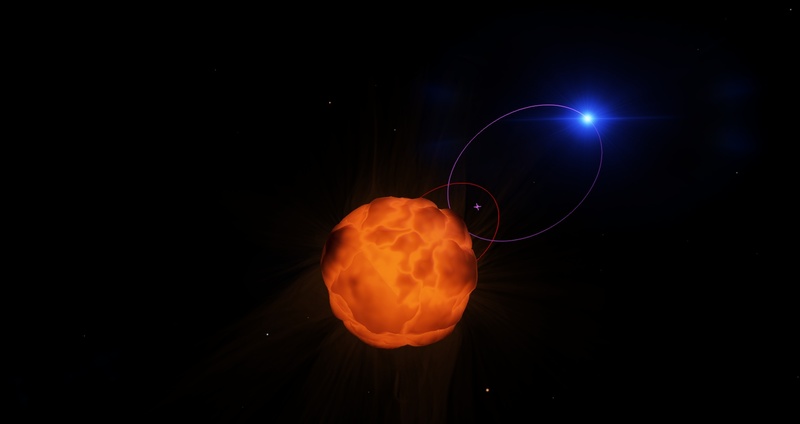 Has there ever somehow been a star that orbited a planet? Obviously no, since this is physically impossible. Or a planet orbiting a black hole? Sure, these exist in SE. I don't think I've ever seen a planet orbiting a solitary black hole, though. Only when it was part of a binary system. 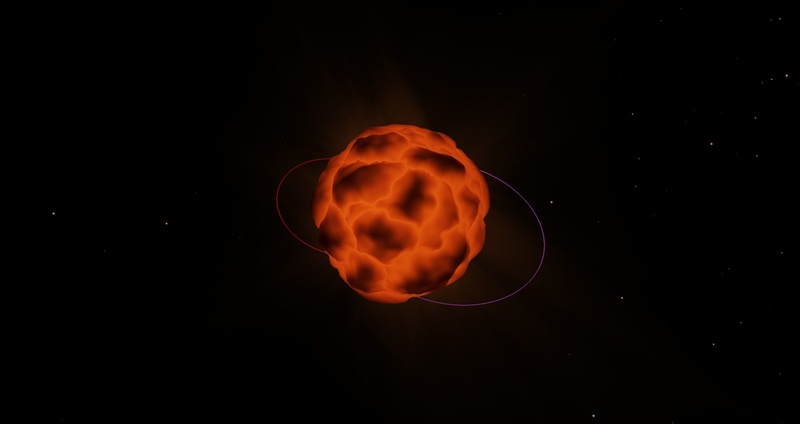 Though often it's a T9 brown dwarf orbiting them, which isn't that far from a planet. I don't think I've ever seen a planet orbiting a solitary black hole, though. I have, though I don't think I've seen one in this version (yet). EDIT: I just went hunting for some, and I did manage to find them, but they seem to be very rare, and exclusively lone ice worlds located in very distant orbits. In earlier versions there were some pretty well populated and diverse systems around black holes. Anyway, they do exist. EDIT 2: I just found one with two planets, but again both are ice worlds in very distant orbits. I think planets orbiting solitary black holes are an anomaly, I found 4 so far, all frozen ice giants over 400AU away from the black hole. (one had a moon with an atmosphere and purple rings! I guess the moon was orbiting on the far side of the giant when the sun went nova, allowing it to keep an atmo and rings. (yes I am making a bug is SE into a thing) I would add photos if I knew how! Awesome that there is still light from the gas giants on the moons. they are very dark places tho. 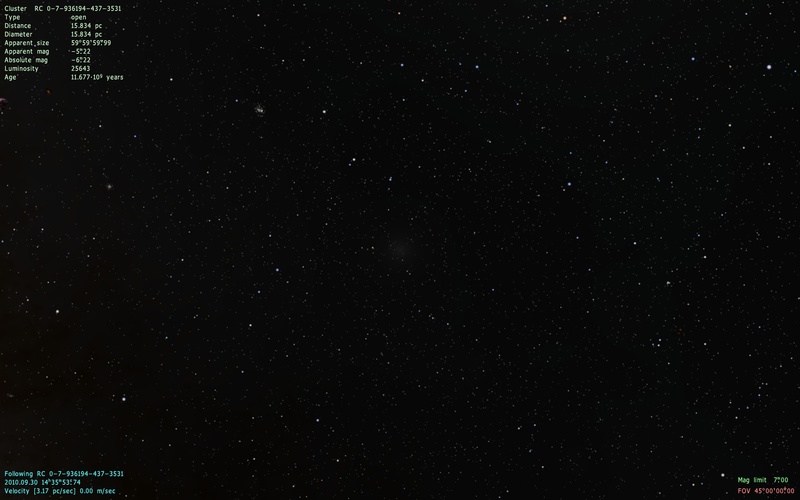 The night side is dark as HECK, great for astronomers. EDIT: Found a brown dwarf orbiting a black hole at a distance of 700AU with a single moon with sub-glacial exotic life so yeah, planets around black holes? definitely a thing.